When I was a freshman, I found myself chock-full of feelings. Part of me was enthusiastic and eager—simply over the thought of coming to college; it represented freedom, fun and a fresh start. The other part of my freshman self was anxious about who I would choose to become, given this opportunity. A fresh start allows you to mold yourself into who you want to be. You can get involved, pick your friends, stay up late and eat what you want. College gives you the chance to create a new You—with new habits, too. Now, I knew I was coming to the one and only Tech: an institution with revered academics and rich tradition. However, I found that the stereotype of Tech being a “drinking school with an engineering problem” contained trace amounts of validity. I didn’t know if I should be excited or worried about this tongue-in-cheek reputation. For starters, I’m not an engineer, so there’s that. More on subject, however, I had rarely even crossed paths with the drinking lifestyle through my high school days. Don’t judge. Since then, I’ve learned that we (students) drink for a multitude of reasons: celebration, stress, boredom, habit and just for that temporary loss of inhibition that can at times feel liberating. However, Tech’s student body also has had negative consequences related to drinking. Recent years have brought increases in alcohol-related incidents, ejections from athletic events and hospitalizations. That’s not exactly the “fun” I was looking forward to when I came to Tech. In the spring semester of 2011, I had the opportunity to join in on a vision with a handful of passionate, driven and ridiculous (in a good way) individuals. The goal was to redefine what it meant to have fun in college. We knew one thing: alcohol abuse is a problem on our campus. Tech already has fantastic resources for fighting this issue, but there was a void. Where was the fun alternative to drinking? We decided to address this issue by doing what students do best, partying. And so, Wreckless was born. If you haven’t heard about it yet, Wreckless is a student organization with a mission to throw off-the-chain parties as an alternative to abusing alcohol or drugs. We’ve hosted several events since our founding: Snow My Gosh, Don’t Worry Beach Happy, Jamazon Rageforest and a few others. We’re not here to be just another club nor a social wrist-slapper. Instead, we want to foster a community of Tech students who want to have an unforgettable weekend without alcohol, drugs and the consequences that can sometimes come with them. We want Wreckless to be a community that anyone can join for a great time—whether you attend because of a lifestyle choice you’ve made or you just want a night off from your normal routine. And on that note, you can start tonight! 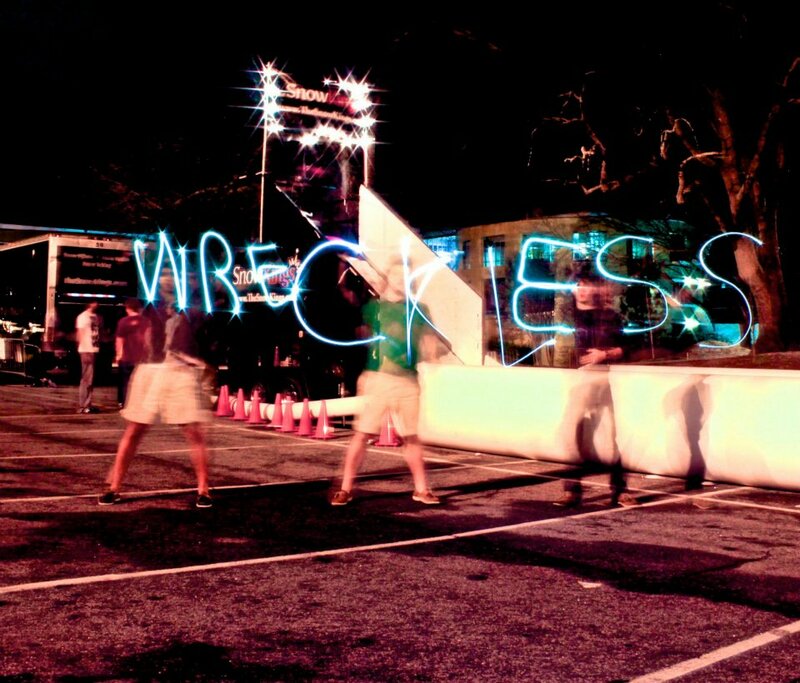 Wreckless is hosting “CAUTION: Flannable!” tonight at the Tech Green from 9 p.m. to 1 a.m. The theme is flannel, so throw it own if you own it and come join us for a FLANtastic time. Check it out on Facebook (along with the Wreckless page).